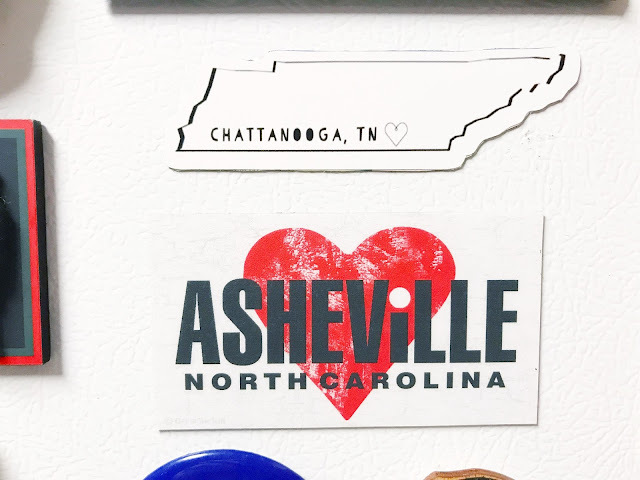 Though we didn't start our tradition when we first started dating, we did start one main tradition after we'd been dating a while. 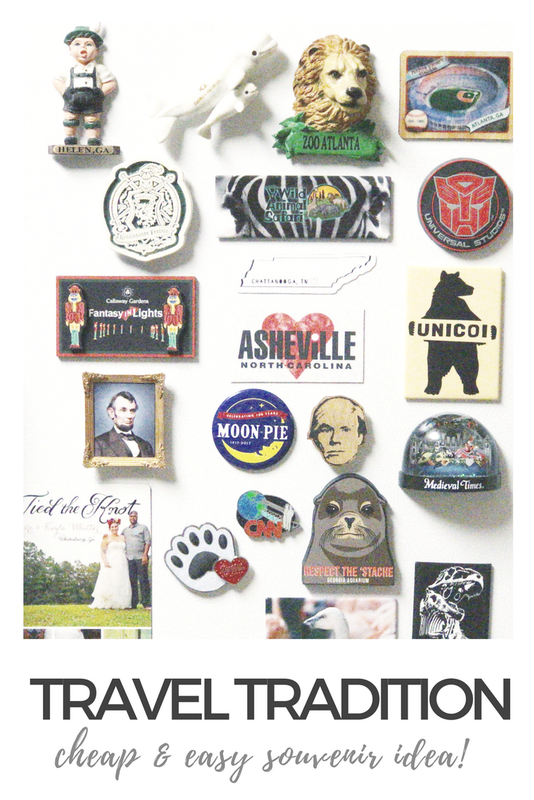 Collecting magnets. When we take a trip (whether out of town, or just a local-ish day trip), we purchase a magnet to commemorate our time. 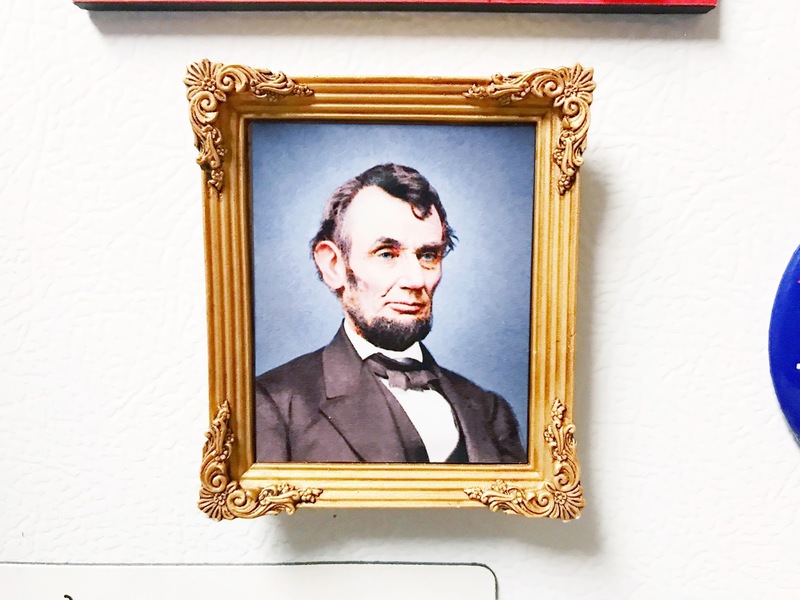 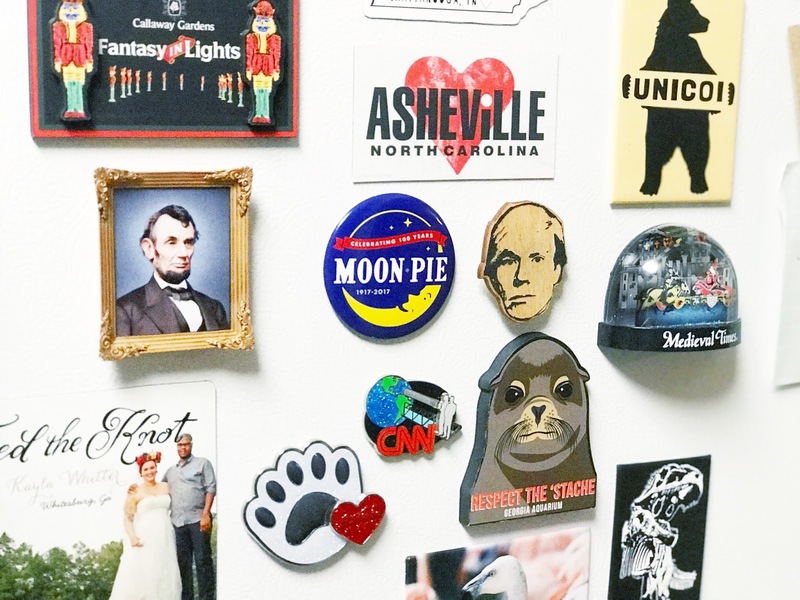 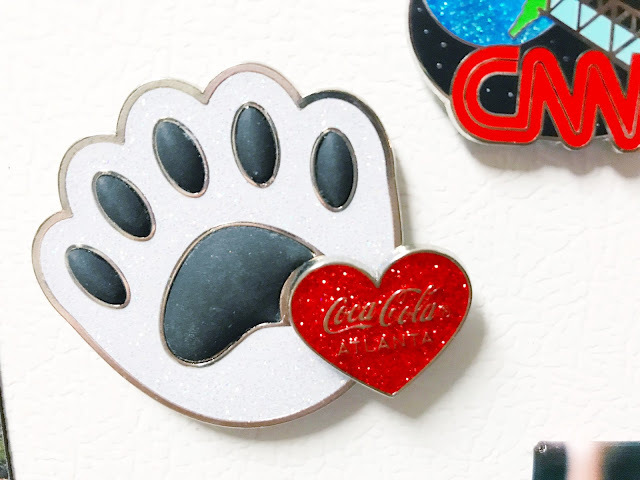 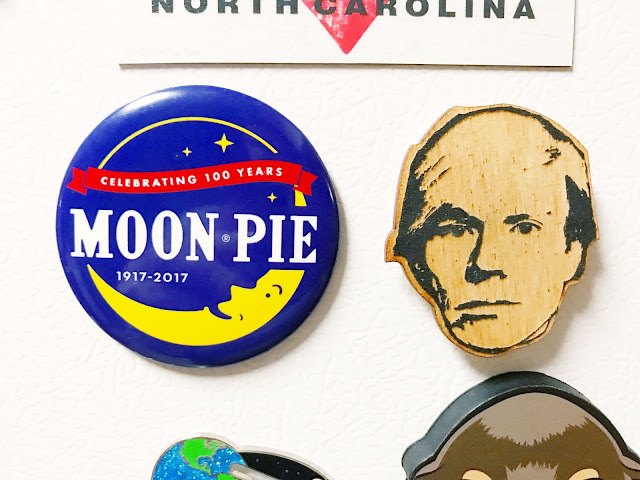 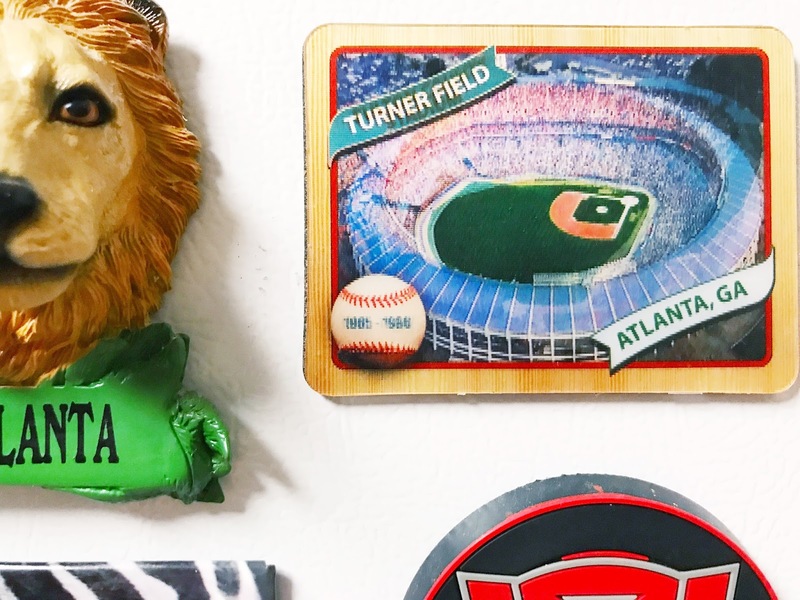 While magnets don't necessarily have a practical use, they are small and inexpensive, making them ideal souvenirs. They are displayed throughout the year, and don't take up a ton of space - which is why we love them. 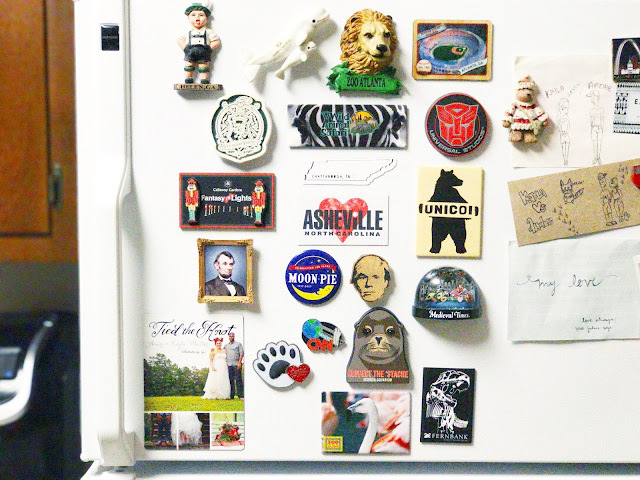 I wanted to share the magnets we've collected over the nine years we've been together. 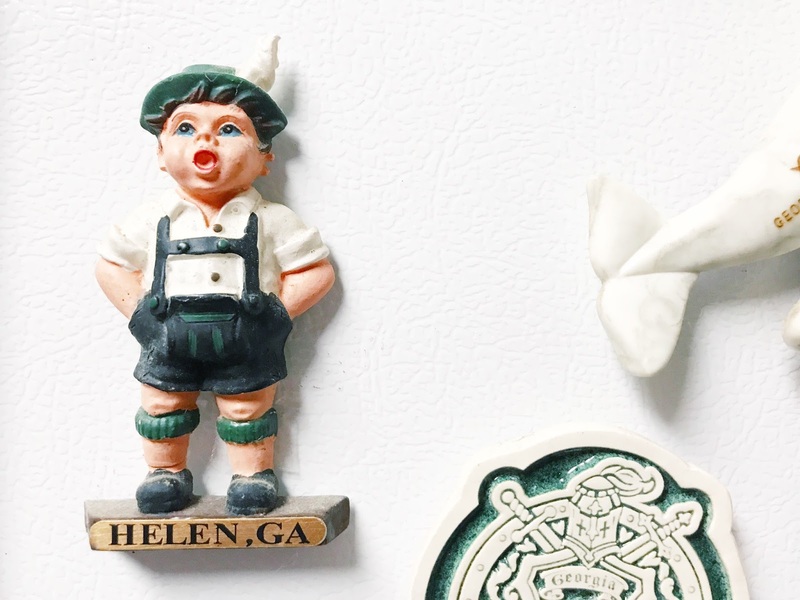 What kinds of travel traditions do you have? I like the Christmas ornament idea, too, but I would be sad that I only see them for about a month a year. We've found that magnets work well for us - I look forward to developing another idea to house them once our fridge gets too full! 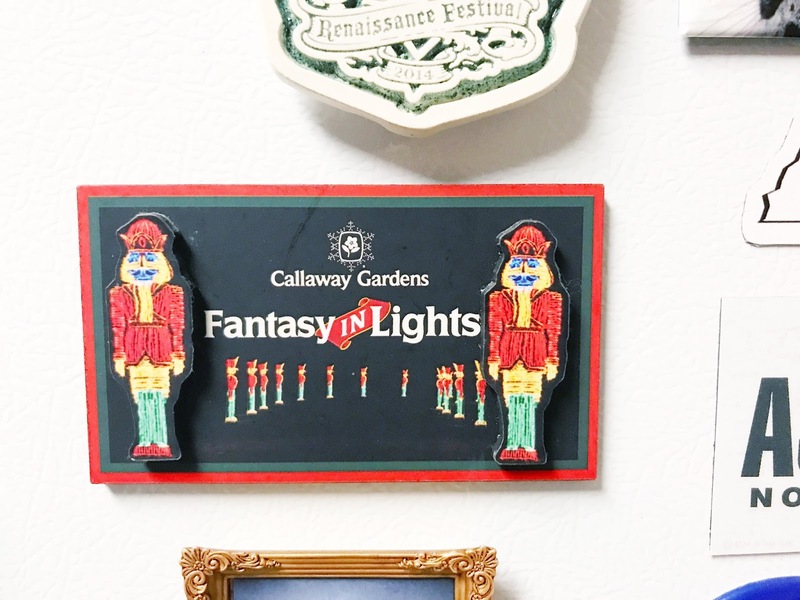 Aww this is such a fun tradition! 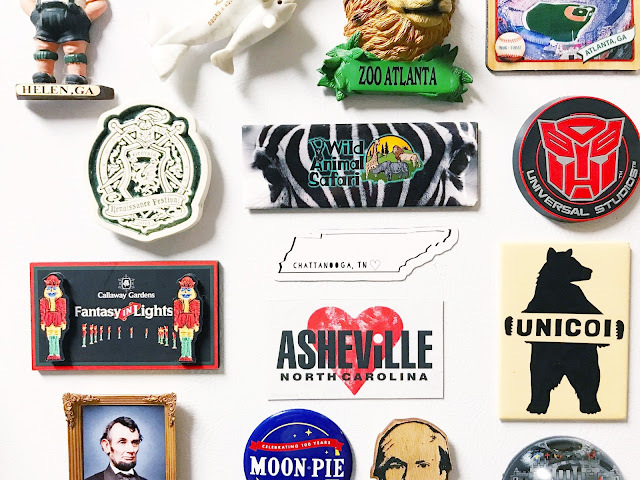 We have a few magnets we've collected but mostly we collect Christmas ornaments when we travel. 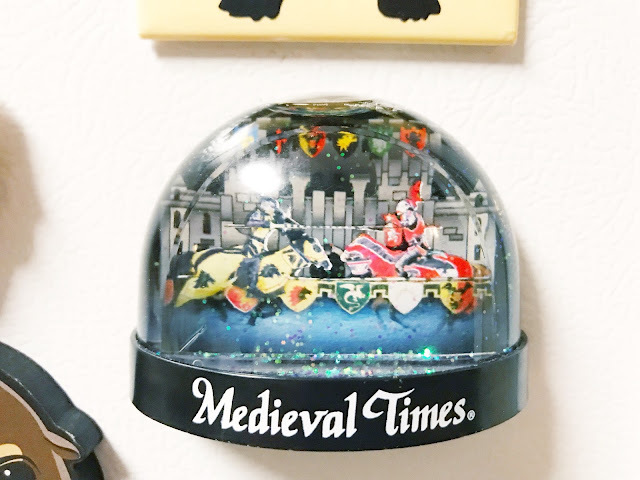 I've been hearing a lot of people doing the Christmas ornament thing. 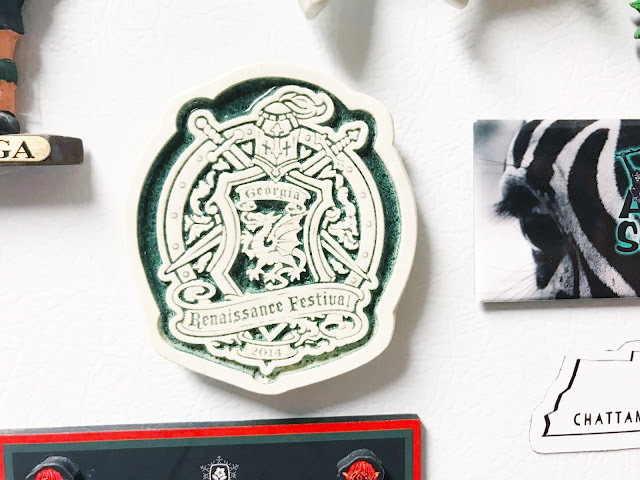 I love that, but would also be so sad to not get to see the ornaments very often! 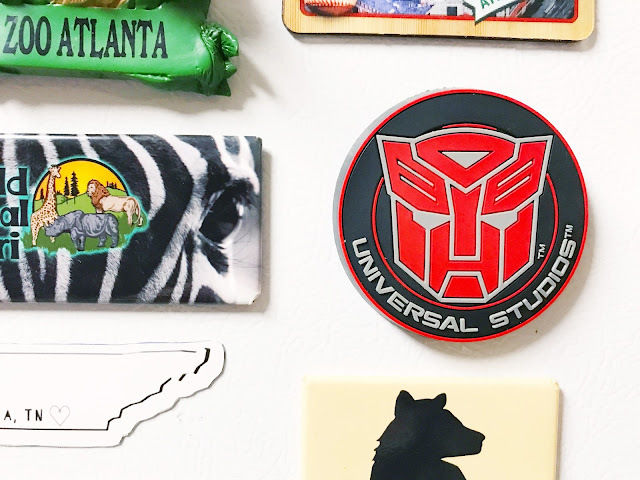 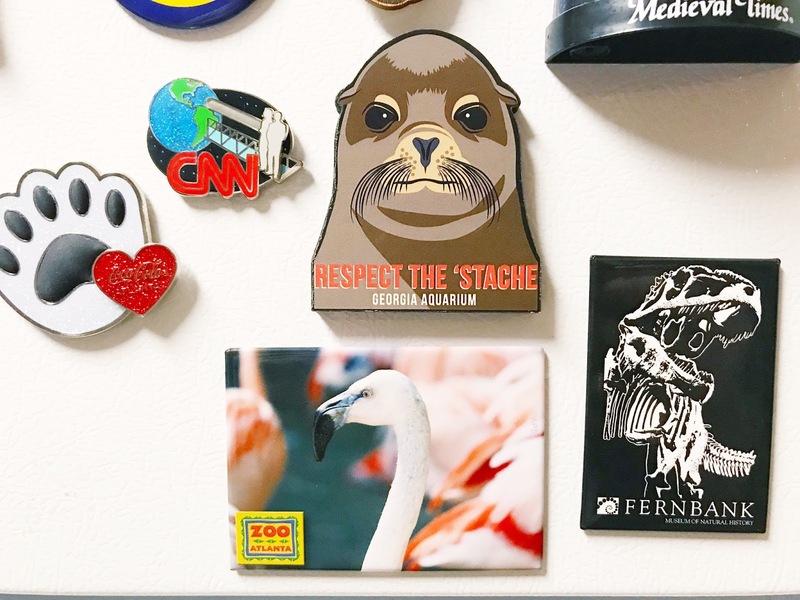 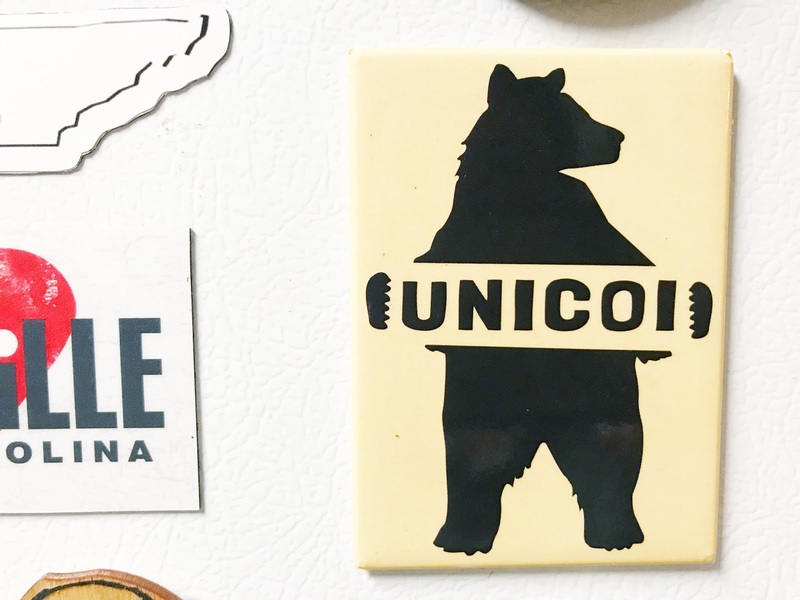 We collect magnets, too - but we don't have nearly as many as you do! 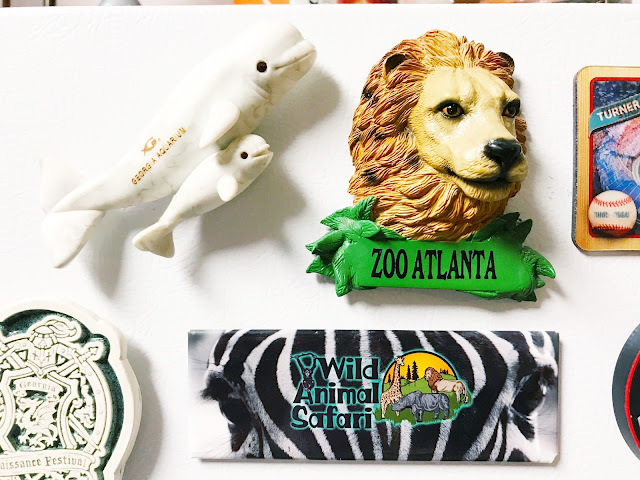 We get them not just when we go like out of state, but also if we go to semi-local attractions (hence all of the Atlanta magnets, lol! ).